A glowing review for our Plays to Perform site in The Stage online this morning (26 March). The newspaper's Education and Training expert, Susan Elkin, called the site 'inspiring' and recommended it to teachers, youth theatre leaders and members of amateur drama companies as 'a time-saving one-stop shop'. See the full review here, and then - if you haven't already done so - put our new Play Finder to the test. Whatever kind of play you want to perform, you should be able to find it here. 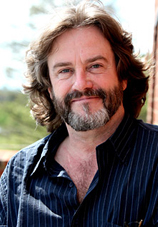 NHB author Gregory Doran will be the next Artistic Director of the Royal Shakespeare Company, it was announced today (22 March). After 25 years with the company - first as an actor, then as assistant director, and, since 2006, as Chief Associate Director - Doran will succeed Michael Boyd as Artistic Director in September. This year Doran directs Julius Caesar for the World Shakespeare Festival. His most recent RSC productions include: Written on the Heart, Cardenio and Morte d'Arthur (all three published by Nick Hern Books), and, from the Shakespeare canon, Twelfth Night, Hamlet, A Midsummer Night's Dream and Love's Labour's Lost. His book, Shakespeare's Lost Play: In Search of Cardenio, is published by Nick Hern Books. Mogadishu, Vivienne Franzmann's hard-hitting debut play about a teacher whose career unravells when she intervenes in a playground fight, is nominated for an Olivier Award for Outstanding Achievement in an Affiliate Theatre. Franzmann was herself a teacher until she won the Bruntwood Playwriting Competition with Mogadishu. Her forthcoming play, The Witness, opens at the Royal Court in June. In other categories, Alecky Blythe and Adam Cork's London Road was nominated for Best New Musical, while nominations for Best Revival included Terence Rattigan's Flare Path at the Theatre Royal Haymarket, Eugene O'Neill's Anna Christie at the Donmar Warehouse, and Much Ado About Nothing starring David Tennant and Catherine Tate at the Wyndham's Theatre. The awards ceremony takes place at the Royal Opera House on 15 April.